Jackie McLean (1931-2006) joined the music faculty of The Hartt School of Music at the end of the turbulent decade of the 1960s. The Harlem native was in the midst of a career that has many ups and downs but understood he needed to not only settle down but also to educate young people on the American art form that had grown up from the brothels of the deep South and from the riverboats along the Mississippi River to be played in nightclubs and concert halls around the world. McLean, in the span of 4 years (1972 - 1975) founded the African American Music Program at Hartt, became the head of the Jazz Studies, and with his wife Dollie, created the Artists Collective in Hartford, a "safe haven" for at-risk children where they could learn about and participate in the music, theater and dance. Though Jackie McLean went on to be named a NEA Jazz Master and continued to record great music, the Artists Collective may stand as his (and Dollie's) greatest achievement. An inspirational evening of reflection and music dedicated to the anti-apartheidrevoluntionary, politician, and philanthropist who served as President of South Africa from 1994 to 1999. Mr. Mandela died in December 2013. The program will feature South African born Andrea Van Den Heever, the founder of the, CT Center for a New Economy, along with Kathleen S. Santiago, President, CT Chapter Coalition of Black Trade Unionists, Bill Shortell, Machinists Union, John Fussell, Tree of Life, andDan Durant, Hartford Rising. Artists Collective dance and music ensembles will perform. Nelson Mandela Remembered is presented by the CT Mandela Committee in collaborationwith the Artists Collective. Considered the first book for a general readership to present an overview of more than 300 years of the African American experience in Connecticut, numerous essays by many of the state's leading historians document an array of subjects beginning from the earliest years of the state's colonization around 1630 and continuing well into the 20th century. Panelists for this thought-provoking and enlightening historical journey will feature some of New England's foremost African American historians, including Stacy Close, Eastern Connecticut State University, Katherine Harris, Central Connecticut State University, Wm. Frank Mitchell, Amistad Center for Art & Culture, and moderator Elizabeth Normen, editor of the volume, and publisher of Connecticut Explored, the magazine of Connecticut history. The panel discussion will be followed by a reception. Books will be for sale and the authors will be available to sign. The UCONN Funky Dawgz return for a participatory Second Line presentation outside and inside of the Artists Collective. This innovative and exciting brass band is based on the New Orleans genre. The Funky Dawgz are entertaining and educational while preserving an important piece of American musical history. 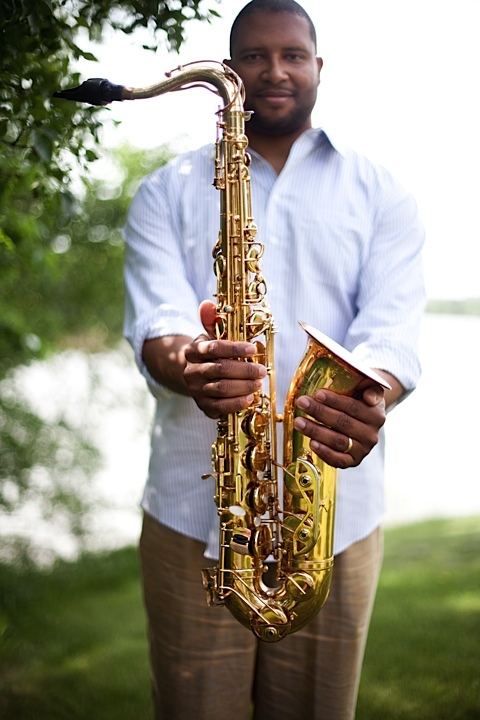 Jimmy Greene (pictured above left) has emerged as a positive presence in the jazz world. His nine solo releases and numerous appearances as a leader and sideman have won rave reviews from critics, fans and his peers. As a composer, he has been recognized by the ASCAP/IAJE, Chamber Music America, the State of Connecticut, City of Hartford, to name a few. The Artists Collective is located at 1200 Albany Avenue (corner of Woodland Street/Jackie Mclean Way) in Hartford. Call 860-527-3205 for more information.